A look inside a small, grassroots, international smuggling operation. I live in Seattle. A few of my friends have worked at TJ's over the years and they have all encountered this guy and they all, without fail, roll their eyes and will go on and on about how he is the worst. And the bit where he pulls the "I'M PIRATE JOE LOLOLOL" goes toward confirming what I've heard. The other part is ... if TJ doesn't want to sell internationally, they have every right to not sell internationally. I don't know what it is about this venture, but it's just so gross to me. Maybe because I work for a company whose products are often sold by people we don't want to sell to (who use subterfuge to get our products) but everything about it drives me bonkers. I have mixed feelings about this episode. On the one hand, I am glad that Startup is breaking out of covering traditional tech startups. Learning about other small businesses is really interesting to me. And this guy’s story is interesting too. But… It doesn’t really feel like a business story to me. It’s more like the story of an eccentric and kind of dysfunctional guy who happens to own a business. The business was just a frame around the story about the owner’s personality. As someone with aspirations of owning a business, I don’t feel like I learned a lot here. At the end of the day, this felt like an ok podcast episode to me, but it didn’t feel like a Startup episode. Also, this is the second one in a row in which I knew what the business was before they revealed it. In the Justin.tv/Twitch story, it didn’t bother me much, but for some reason in this one it started to rub me the wrong way. I kind of think that if they’re covering businesses that have been widely talked about in the media, they should just skip the charade and name them from the top of the episodes. Yeah, I agree. This would have been a mildly interesting act 1 or 2 of a This American Canadian Life episode, but doesn't feel like Startup at all. Which is kind of a shame, because it was the first episode of the season that wasn't all Lisa Chow, who tbh is starting to grate on me. I think I feel the same way as the rest of you. I liked the show, but it didn't feel like a Startup episode. It's sort of a business/ethics quandary, and the imagery of him using disguises to try to fool the TJ's employees is great, but it didn't have the same tension as the last pair of episodes. I really enjoyed this episode, I thought they did a great job of showing how the guy is kind of charismatic but ultimately insufferable. But yeah, pretty light on the business analysis. I didn't really get a picture of how serious a business this is. I'd love to hear more stories from people with small, unorthodox businesses. But we didn't really learn too much about his business because there's not really much to say about it, just cross-border arbitrage. Also, I don't see anything objectionable about reselling snack foods across borders. It's not like he's literally pirating, they're genuine TJ goods. What it did feel like is a Planet Money story. I'm not sure the lots-of-shorter-stories model is working as well for me; I liked the in-depth "follow a startup" model. 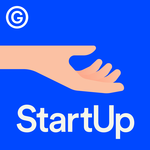 It feels to me like Startup is still struggling with the fact that they're better at reporting their own startup story than others; I found the off-season Gimlet episodes more interesting than these three episodes. Agreed this was a Planet Money story, not Startup. Also Pirate Joe is 3/4 a lunatic from the sounds of things. Once I saw where this was going, I was hoping for a bit more on how the arbitrage actually pays for his effort. How much does he mark up the prices? How does he afford his storefront, and is there enough profit to compensate for what sounds like a really onerous acquisition process? Maybe I just tuned it out after his earlier speeches, but yikes. It's probably true that I'm a lot less interested in actual startups than the target audience for Startup, but I really enjoyed this episode. I'd love to spend more time on small businesses that aren't part of the whole VC-funded, grow-or-die, silicon valley culture. A season focused on barbers, dog-groomers, and hang-gliding instructors sounds great. A whole season on restaurants would be awesome. I am also really curious about the economics. How much is he marking the items up? How much is he buying at a time? I would love to know how he makes this work.